I once heard someone ask Roger Federer if he swings at his serve at 100 percent speed. He replied that he rarely does. This is one of the reasons why Federer looks so effortless, not only serving, but basically on almost all of his shots. He tends to swing at the speed that he feels he can control, and repeats that over and over. I think this would be a great reminder for most of us when we are playing a match. If you swing at 75 percent speed, make contact early and hit the ball solidly in the center of the strings, your result will be much better than swinging closer to 100 percent, timing it wrong, and mishitting the ball. For most players the 75 percent idea will be a good starting point—you can always add a little to the swing speed when trying to get the opponent in trouble or to win the point. 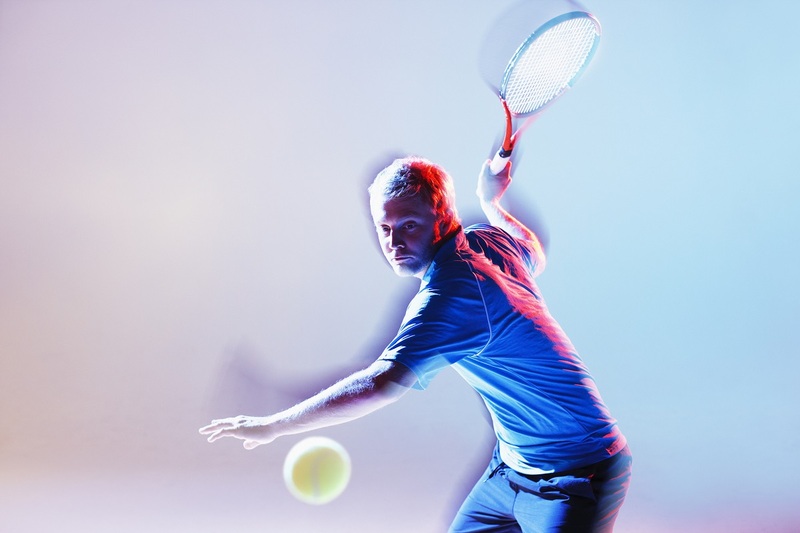 Try to resist the urge to go close to the 100 percent swing speed on your serve or towards the end of the point. Your adrenaline is likely going to add some speed to your swing, so as long as you are starting around 75 percent, the added speed should still allow you to time the shot well and give you more chance for success in a match situation.